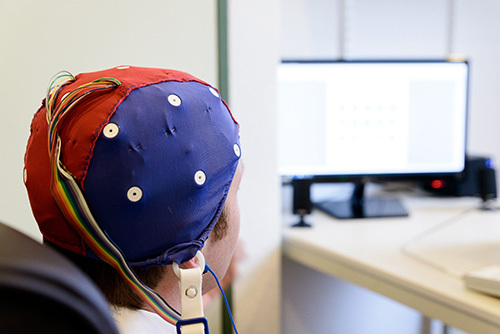 Before the rTMS treatment can start, an EEG (electroencephalography) must be taken, because epileptiform activity in the brain must be ruled out. An electroenchephalography is the measurement of electrical activity pruduced in the brain. It is recorded from electrodes which are placed at the surface of the scalp secured in a EEG cap. To make good contact with the scalp a conductive gel will be put between the electrodes and the skin. 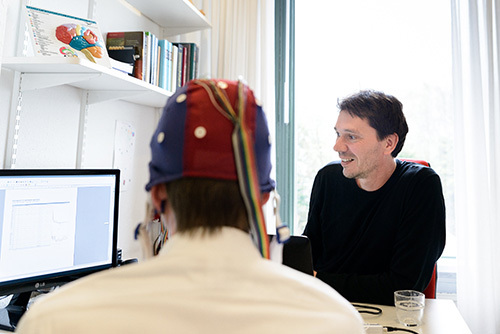 The computer records the brain's electrical activity on the screen. 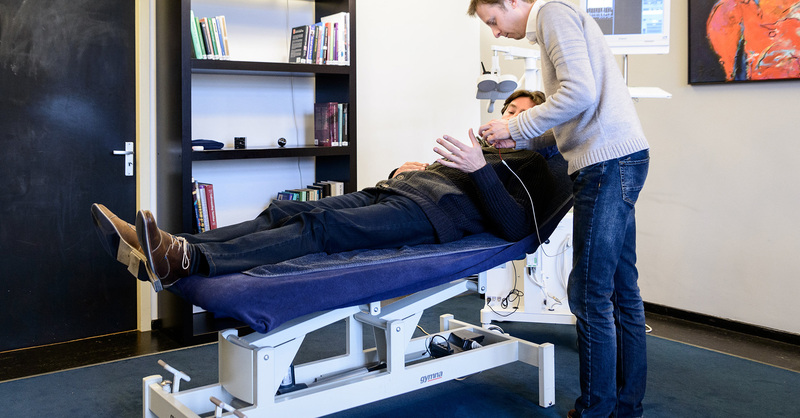 If there are no contra-indications measured in the EEG, the rTMS treatment procedure can be continued. Before the electroencephalogram test starts, the examinator has to be informed about the use of medication. Medicines can affect your brain's usual electrical activity and can cause abnormal test results.